Select the Walking Golf Cart that best fits your needs – FREE SHIPPING on ALL Electric Caddies! Welcome to Sunrise Golf Carts where you can find a Remote-Controlled golf caddy to fit almost any budget. 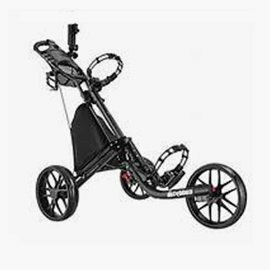 We also have an excellent selection of quality non-remote electric caddies and golf push carts. 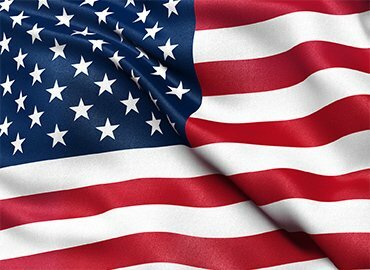 We offer Free Shipping on all Electric Golf Carts (to the US 48). For shipment to Alaska & Hawaii, contact us. Need help? Our friendly customer service is on hand 7AM-8PM CST at 877.342.1470. 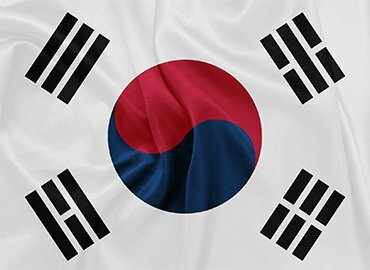 Korean language customer support is available. Walking golf carts, or golf bag carts are designed to carry golf bags while the golfer walks the course. In addition to the benefit of exercise and weight control, walking the course can improve your score. 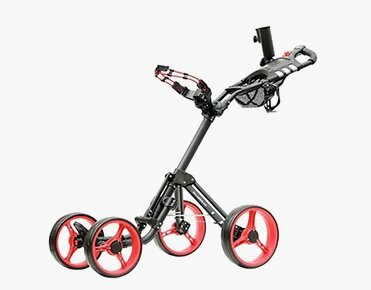 Golf bag push carts are non-powered, manually operated carts which the golfer pushes to traverse the golf course. 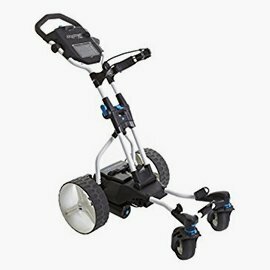 Golf push carts are available in both 3-wheeled and 4-wheeled designs. Most 3-wheeled carts are very lightweight, yet sturdy, with some having a swivel front wheel for better maneuvering. The 4-wheeled carts offer greater stability than most 3-wheeled carts, yet remain very lightweight and fold compactly. Many push carts also feature a foot-operated brake or handle-mounted brake. 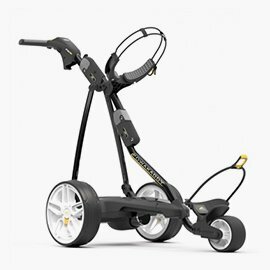 The greatest advantages of a golf push cart are the affordable lower price and the lighter-weight construction. One disadvantage is the energy expended as the golfer manually pushes the cart throughout the course. 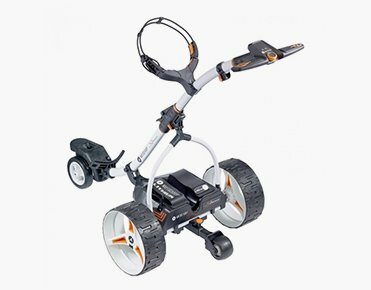 Golf Push Carts come in a variety of styles with an assortment of special features and accessories to meet most needs. Best choice for beginners and affordability! 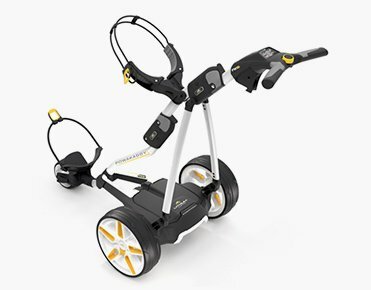 The term ‘electric golf caddy’ refers to a motorized walking golf bag cart, which is controlled manually by control buttons or knobs on the cart handle. 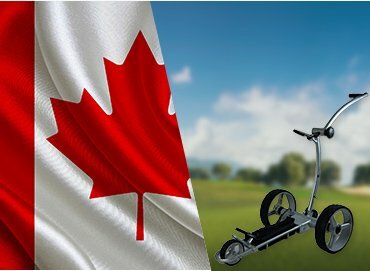 Golfers using electric golf carts have the advantage of playing with more energy during the final rounds of play verses those using manually controlled golf push carts. One disadvantage is that the golfer must stay close to the cart to steer, prevent tipping when going uphill and prevent “run-away’s” when on downhill slopes. (With a remote control golf caddy, golfers make similar maneuvers from a distance, via remote control.) Electric golf caddies also have the advantage of being lower-cost than remote control caddies. All electric golf carts are powered either by a more-affordable lead-acid battery (convert to lithium via conversion kit) or a higher-performing lightweight lithium-ion battery. An electric golf caddy does the work for you! A remote-controlled golf cart is the Best of the Best, providing a ‘pro-like’ golf experience that does everything but hand you the club! Remote control carts allow the golfer to move independently while controlling the cart using a small wireless transmitter. Some remote controlled golf caddies have High-Tech features such as Bluetooth Wireless Technology, GPS/Course Maps, Gyroscopic Navigation or the advanced Robotic Follow or March Ahead Technology. 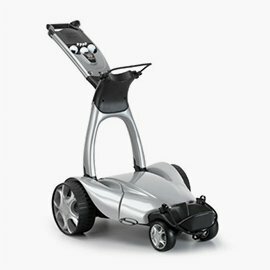 Remote controlled golf caddies are powered either by a more-affordable lead-acid battery or a higher-performing lightweight lithium-ion battery. Each boasts of quality, reliability and performance, which are backed up with their superb warranties. Disadvantages: 1) higher cost, 2) more technical, 3) longer learning curve for effective operation. Yes, they carry a higher price tag, but they’re worth it!